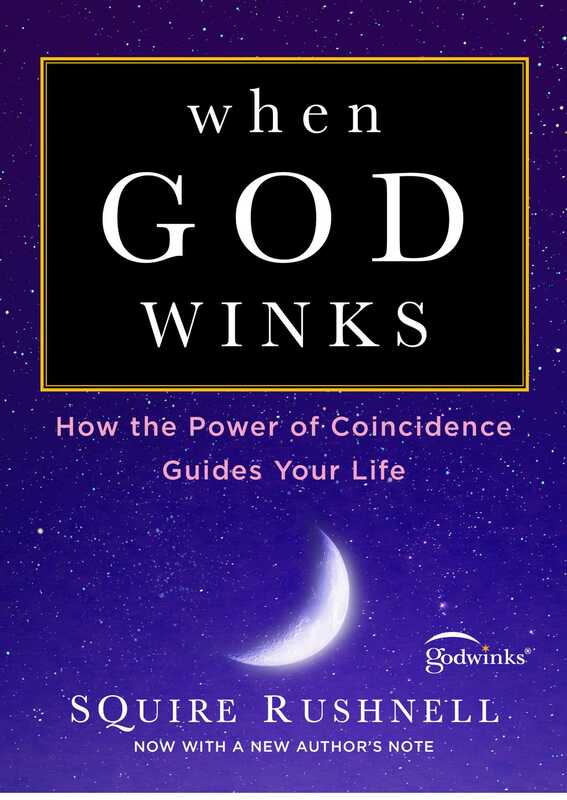 SQuire Rushnell teaches you how to use the power of “Godwinks”—divine coincidences—to seize certainty in uncertain times, and enrich your career and relationships. Whether you call it synchronicity or coincidence, it is not an accident that you just picked up When God Winks. In fact, you may have suspected all along that there is more to coincidence than meets the eye. These seemingly random events are actually signposts that can help you successfully navigate your career, relationships, and interests. By recognizing the “Godwinks” our Creator has placed in our paths, we can understand—and embrace—the journey God has laid out for us. Read the incredible “Godwinks” experienced by everyday people and celebrities including Barbra Streisand, Charles Schulz, Oprah Winfrey, Kevin Costner, Mark Twain, John Adams, and Thomas Jefferson. After reading When God Winks, you’ll learn to recognize coincidences in your life for what they truly are: an act of God’s enduring love. When I pray, coincidences happen, and when I don’t, they don’t. Have you ever found yourself thinking about someone who hasn’t crossed your mind in years, and then you run into that person the next day? Or has something unpleasant happened to you—like getting laid off from your job—only to find out that you had a better opportunity a short while later? As a matter of fact, what motivated you to pick up this book? Or were you led to this moment to learn more about yourself and the mysterious guideposts—what I call Godwinks—that cause you to meet certain people, propel you in new directions, and place you into situations you never anticipated? You’re about to confirm something you have suspected all along: that what you thought were coincidences, were actually Godwinks, little messages to encourage you on your journey through life, nudging you along the grand path that has been designed especially for you. This book is a simple bridge to your self-discovery. • In part one, you’ll learn ways to open your eyes to see the amazing ways that God has been working in your life. • Then, in part two, you’ll read about ways you can use Godwinks to enrich your life as you go forward. You will even learn how to create more Godwinks—turning your wishes into winks. And you’ll read about everyday people, as well as celebrities, who have taken comfort in Godwinks and have found them to be empowering. • Part three is packed with fascinating stories demonstrating that winks from God guide us through every aspect of life, from relationships to careers, from films to sporting events. 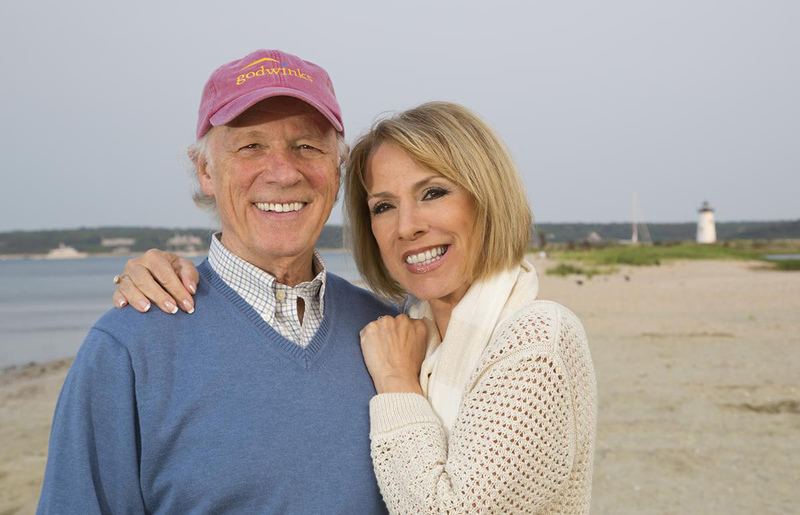 As you embark on this marvelous process of discovering the Godwinks in your life, I ask you to keep your mind open to possibilities you have never imagined and to be prepared to take action steps toward goals and dreams that may now seem distant. Now, start turning pages, and get ready for a wonderful journey! Almost everyone harbors a slight, rarely articulated suspicion that there might be something more to “coincidence” than meets the eye—something special and, almost always, spiritual. For this book, I have interviewed scores of people and researched hundreds of Godwink stories in hopes that a new perspective on such astonishing events would help others to enrich their own lives. One frequent speculation was that Godwinks rarely stand alone. Many people suggested that they happen in clusters, or as a continuing series of unusual events. Over the course of this book, I will be challenging you to take a sort of archaeological expedition into yourself. When you do, you’ll be surprised to discover the emergence of an enchanting pattern of Godwinks marking your relationships and pursuits, and your ups and downs. As you chart your winks, you’ll see that they have increased in frequency at major turning points in your life: when you lost someone you love or found someone to love; when you reached a crossroads in your career, such as a job loss or a promotion; or when something happened that sent your life in a whole new direction. Learning to identify Godwinks—hopeful communications directly to you out of seven billion people on the planet—will help you to develop a confident sense of direction. It will be an affirmation that, no matter how often you may think it, you are never alone. Somewhere up above, there is a universal guidance system, and you are on that radar screen. The concept that Godwinks can be revisited to create a chronicle of past winks from God first occurred to me as I sorted through the turning points in my own life. I focused on the moment when I first realized what I wanted to be when I grew up. It was in sixth grade. A visit to a radio station had hooked me. I wanted to be a radio announcer. By tenth grade, I had spent four years talking into a broom handle, driving my older brother crazy, reading the newspaper aloud, forcing my voice down low like David Brinkley. But my real hero was a morning personality on a radio station sixty miles south of my little town of Adams Center, New York. Dean Harris was an energetic disc jockey, fond of ordering his legions of listeners to get up and “march around the breakfast table” to whatever melody he was playing. And into my broom, around our breakfast table at home, I frequently emulated him, causing my brother to send a Wheaties box sailing in my direction. When the Godwink occurred, I was fifteen. It was a very important day. Somehow I had landed an interview with Jim Higgins, the general manager of WCNY-TV, ten miles to the north in Watertown. My mode of transportation: hitchhiking, a relatively safe undertaking in those days. The traffic on that rural road was sparse, and every car passed me by. Fretting that I hadn’t left enough time to get to my appointment, I began to lose faith. Then, a green Volkswagen suddenly swerved to the side of the road. A cheerful balding man beckoned me in, asking my destination. I was so grateful for the lift, I anxiously spewed out not only the destination but the purpose of my mission as well. Think of it. Of all the people who could have helped me get to where I was going that day, in any one of the cars that came down that road, the one who stopped to take me to my first and most important interview for a television job was none other than my hero, Dean Harris. For a young hitchhiker with nothing but a dream, that was a clear Godwink to boost my faith, just when I needed it. I wondered then and many times since just how such remarkable events could have occurred. The mathematical odds of such happenings are colossal. In retrospect, the message of that uplifting experience was that such fortuitous events are not random. Instead they are clear signposts on the path of life, revealing that each of us is guided by a powerful force toward our destiny. That Godwink, at the genesis of my career, was indeed a small though powerful communication, telling me to keep my faith, to stay on my chosen course, and that everything would turn out just fine. Oh yes, I got the job. I hope this story will trigger your memory, helping you to start digging into forgotten Godwinks of your own personal history. To begin, think about the major crossroads in your life that are related to your own career. Dim the lights, grab a decent pen, get in a comfortable chair, and let your mind wander back to some of your earliest memories. Write the answers to the questions that follow in a wink diary, which I’ll tell you about in the next section. Let the pen flow without editing yourself as you write. You will be surprised at the forgotten turning points that will emerge. • What is your first memory of what you wanted to be when you grew up? • Can you recall how old you were? Where you were? Who was with you? • Was there some event, some place, or some person that ignited your career or life interest? • How did you go about making that first step related to your eventual career or life interest? • Finally, can you recall a Godwink—any unusual experience or happenstance—relating to your career or life interest? The last question is the hardest to answer. Don’t worry—you’re not alone. Godwinks are dismissed, repressed, and overlooked by everyone. As such, they are not easily uncovered. You need patience. And persistence. But before long, digging up Godwinks of the past will become easier, and you’ll think you’re mining gold out of your very own life. Before you know it, you will have learned to recognize the significance of Godwinks as they happen rather than years later. You may have interpreted what you thought was a “coincidence” relating to your career as some silly little occurrence that happened to you once—nothing more significant. That’s what happened to me; I had always recalled being picked up by my hero while hitchhiking to my first job, but it never dawned on me—until I began writing this book—that it was actually a remarkable sign of encouragement that I was on the right path. Later on, I will show you that your dreams, wishes, and prayers can actually help you cultivate Godwinks and use them to enrich your life. By focusing on a desired outcome, you can cause Godwinks to appear all along your path. I keep a thin, narrow diary that slips nicely into an inside coat pocket or a briefcase. It’s my diary of winks. Whenever a Godwink occurs, I jot it down. Or whenever there’s a turning-point event that I assume will trigger a Godwink, I also write it down, leaving space to register the wink when it happens. More often than not, the Godwinks I record in my diary are small, everyday experiences. But while most are not earth-shattering, it has been quite eye-opening to flip back through the pages. After only a few weeks of keeping my diary, I was startled by the prolific nature of Godwinks that I used to shrug away. And I am impressed with the reaffirmation that Godwinks from above occur at every crossroads. Make an easy-to-use diary—perhaps a small notebook like mine, the notes app on your phone, or even a piece of paper stuck to the refrigerator door. The important thing is to keep the diary in sight and not out of mind. The fleeting nature of Godwinks is that they slip into and out of our lives in a blink—so you need to get into the habit of jotting them down immediately. First, you are under the influence of a built-in GPS—God’s Positioning System—and every day you receive little nudges to keep you on your chosen path. Second, tracking the Godwinks in your past will create an astonishingly lucid account of your life, while providing clarity to the grand possibilities on the road ahead. Third, you can learn to harness the power of Godwinks to enrich your future and to strengthen your inner convictions that the life path you’ve chosen is indeed God’s path for you. Lastly, you’ll see that Godwinks happen for a reason, and that’s to let you know one thing: You are not alone.